The about us page has quickly mentioned the short-term and long-term goal statements. These goal statements help us in maintaining speed and direction during the ongoing development of C.I.D. as an organisation. Ultimately these goal statements keep C.I.D. pointed towards the determined mission and vision statements. But what do the goal statements mean and how to they help support the development of C.I.D. Below you will find an in-depth analysis of the short-term and long-term goal statements based on concrete goals. Laying down the groundwork for a strong and corporate styled organisation, capable of handling large scale operations and custom training modules. C.I.D is currently looking to expand by recruiting capable and responsible members, that are excited to be part of a corporate styled industrial organisation. C.I.D. is aiming to have recruited at least 50 active members that have taken up various high responsibility functions spread throughout different departments. The pre-release is the ideal moment to get to know fellow organisation members and to weave the inter-organisational relationships into a tight-knit community. This will result in personal relationships between the members of C.I.D. that will strengthen cooperative capacity of its members and provide a solid operational core for the corporation. There is still a lot unclear about the game mechanics of Star Citizen, and how these will function in the PU. During the pre-release, C.I.D. will keep track of every update published by Cloud Imperium Games, regarding the development of Star Citizen, and experience these developments first hand. To ensure the quality of its members, C.I.D. has started working on several training programs. These include theoretical documents, knowledge and skill test, and training scenario's. Simultaneously C.I.D. is working on behavioural guidelines and protocols that are in line with its main industrial activities. The training program will be continuously updated in response to the development of Cloud Imperium Games. The technical department of C.I.D. is currently creating several support platforms that will aid in the main operational activities. These support platforms include a new website that accurately portraits the identity of C.I.D. and provides all useful information for possible customers, new members or other organisations. For internal use the technical department is working on a custom-made platform that will assist in a variety of management and operational tasks. C.I.D. is working on a organisational structure during the pre-release. This means the development of various departments, specialisations and management levels. During this process C.I.D. aims to anticipate future organisational needs while assuring a clean and lean management structure. To be a sizeable and profitable organisation that can pride itself with the quality of its services. This long-term goal statement is set for 6 months after the release of the PU and is aimed at securing the position of C.I.D. in the active PU. The current long-term goals emphasise the identity of C.I.D. in relation to the PU community. The long-term goal statement is composed of 4 concrete goals, which together describe how C.I.D. is going to solidify its identity. C.I.D. aims to be a semi-large organisation so it will be capable of reliably handling several resource operations at a certain time. C.I.D. 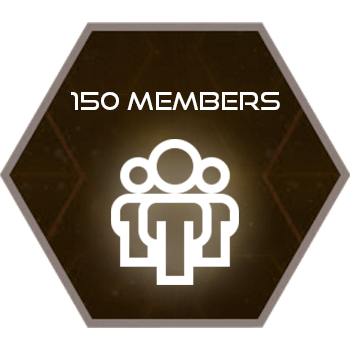 has set the goal for 150 active organisation members at the end of the 6th month of the PU. C.I.D. is looking to be a moderately well-known organisation in the PU community. C.I.D. 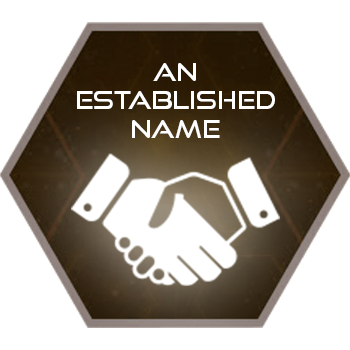 is specifically interested in making a name for itself as a reliable industrial corporation, with a good reputation amongst trading and fabrication organisations. In order to establish the name of C.I.D. several dedicated external relations managers and officers will be assigned who are responsible for external communication. One of the goals of C.I.D. as a corporate styled organisation is to make a profit. In the first 6 months of the PU, C.I.D. will start various operations. It will take some time before these operations run at peak efficiency. In order to secure the future of C.I.D. the ability to make a profit will have the be safeguarded. This will be done by the financial department of C.I.D. This department will be responsible for streamlining cash flow, payment of wages, maximising profit possibilities and managing investments. C.I.D. believes that quality of services is dependable on the members of an organisation. 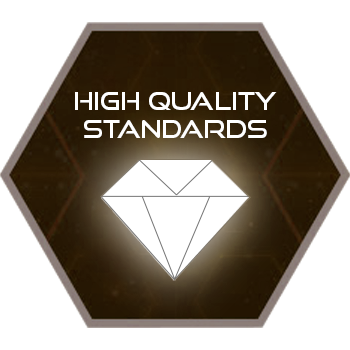 In order to guarantee a high level of quality in its services, C.I.D. is implementing a structured training programs. These training programs exist of several training modules which vary depending on the specific task and function of a member. Using this training program and detailed operational protocols, C.I.D. will ensure that every member is fully qualified to complete his or her tasks. As a part of this goal, every member will have completed or be in the process of completing (several) training programs. As currently the persistent universe with its wide variety of technical details is still being developed, it is impossible to set realistic goals for the far future. Due to this, C.I.D. is unable to currently set goals for a deadline any further than 6 months after the release of the PU. This does not, however, mean that C.I.D. will be unprepared for the future. Colonial Industrial Dynamics is working to continuously improve upon herself, both in organisational identity and structure. Upon release of the PU, C.I.D. will re-evaluate her past and future goals, as well as graft a new set of future goals set past the 6-month deadline.